Puzzleball is a unique 3D puzzling concept where each shaped plastic piece fits together perfectly with the next to form a strong and sturdy sphere each piece is numbered to help assembly the puzzle and display on the stand (included). Create your own Globe and learn the World where we live. Maybe find somewhere that you would like to visit one day! 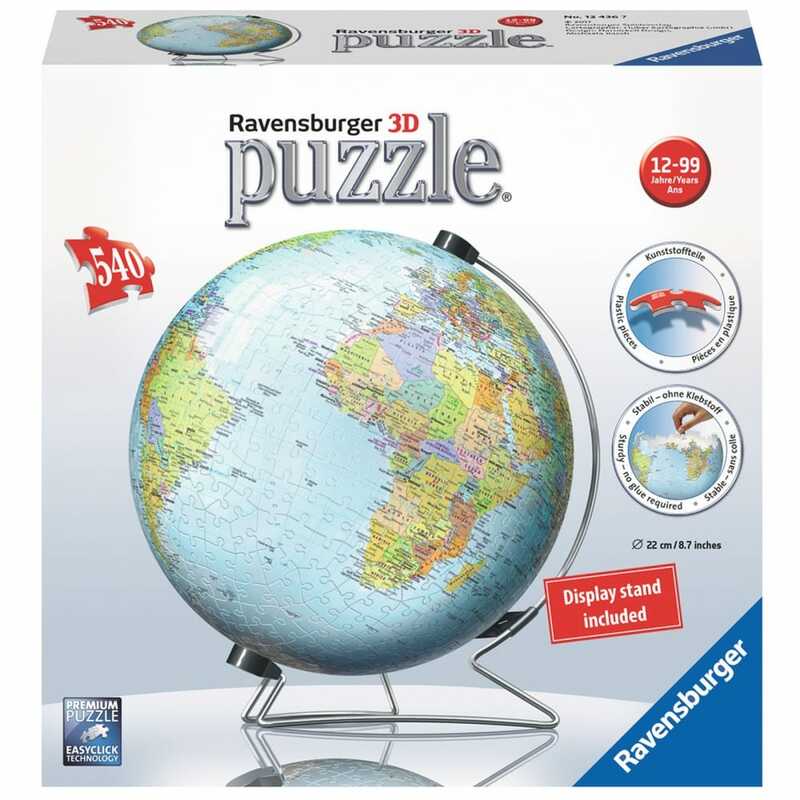 The clever V Stand will let the puzzle ball spin on its axis showing all the places around the world. The finished puzzle measures 22cm in diameter and 27cm high.